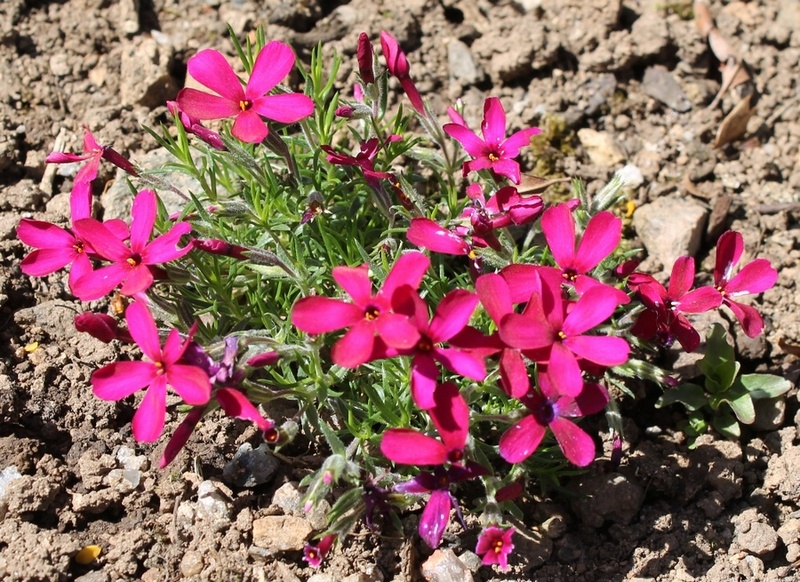 Masses of deep pinkish red flowers in Spring cover flat mats of evergreen spiny leaves, ht 5cm. 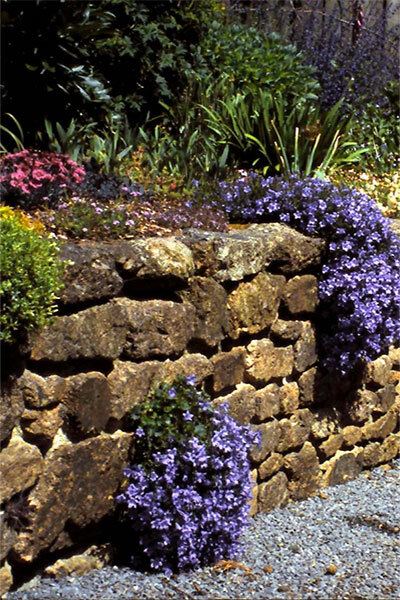 Best grown in a sunny position in a rockery, as an edging plant or trailing down walls. Also good in pots and containers.